Kristina Myrvold is Associate Professor of Religious Studies at Linnaeus University. She is the author and editor of numerous publications on Indian cultures, religions, and migration. Dorina Miller Parmenter is Associate Professor of Religious Studies at Spalding University in Louisville, Kentucky. Her research interests include material uses of the Christian Bible. Miniature books, handwritten or printed books in the smallest format, have fascinated religious people, printers, publishers, collectors, and others through the centuries because of their unique physical features, and continue to captivate people today. The small lettering and the delicate pages, binding, and covers highlight the material form of texts and invite sensory engagement and appreciation. This volume addresses miniature books with a special focus on religious books in Jewish, Christian, Muslim, Hindu and Buddhist traditions. 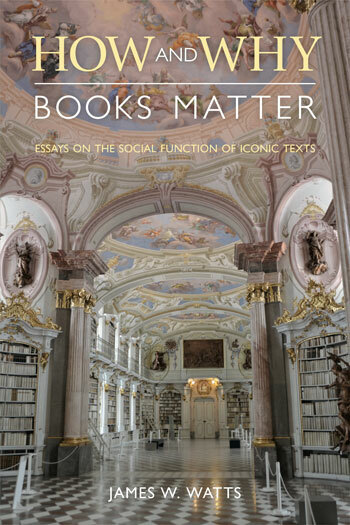 The book presents various empirical contexts for how the smallest books have been produced, distributed, and used in different times and cultures and also provides theoretical reflections and comments that discuss the divergent formats and functions of books. James W. Watts is Professor of Religion at Syracuse University and the author of Ritual and Rhetoric in Leviticus: From Sacrifice to Scripture (Cambridge University Press, 2007). Marianne Schleicher is Associate Professor of Jewish Studies at the Study of Religion at Aarhus University, Denmark. Her research interests lie in the intersection of Judaism, scripture, gender, and the history of religion. Dr Lucy Razzall is a Teaching Fellow in Shakespeare and Renaissance Literature at University College London. Her research focuses on literature and material culture in early modern England. Heather Coffey is an Assistant Professor of Art History at OCAD University. In addition to her penchant for small things, her research examines the art and architecture of the Mediterranean basin as an arena of Christian and Islamic cross- and intercultural fertilization from c. 1200-1600 CE. Andreas Johansson holds a PhD in History of Religion and is the Director of the Swedish South Asian Studies Network (SASNET), Lund University. His research interests include religion and politics in South Asia. Jonas Svensson is a Professor in the Study of Religions at Linnaeus University. His current research focusses on integrating the cognitive science of religion into the academic study of Islam. Jon Skarpeid is Associate Professor of Religious Studies at Stavanger University. His research interests include religion and aesthetics. Yohan Yoo is Professor of Comparative Religion in the Department of Religious Studies and Associate Dean of the College of Humanities at Seoul National University. Woncheol Yun is Professor of Buddhism in the Department of Religious Studies at Seoul National University.